When in Memphis, see the King. 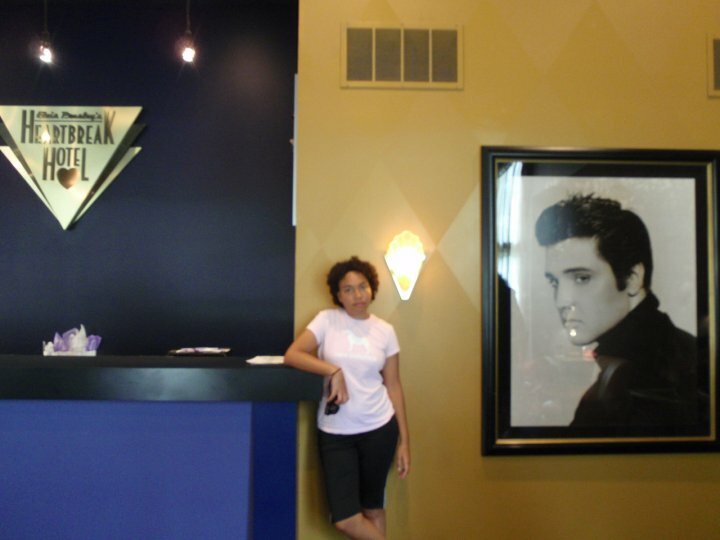 We were in Memphis which just happens to be the city of Graceland. The song, Graceland, by Paul Simon was in my head during the whole drive from Kentucky. Unlike Paul, my marriage was not falling apart — I’m not even married. I still felt obligated to see Elvis’ home. We tried to get out of paying the $10 parking fee. We drove around looking for a Wal-Mart or shopping center for free parking, but there wasn’t one close enough. We paid the parking fee. Then we got to the ticket booth. The cheapest ticket was $30. There were three of us. None of us really liked Elvis’ music. 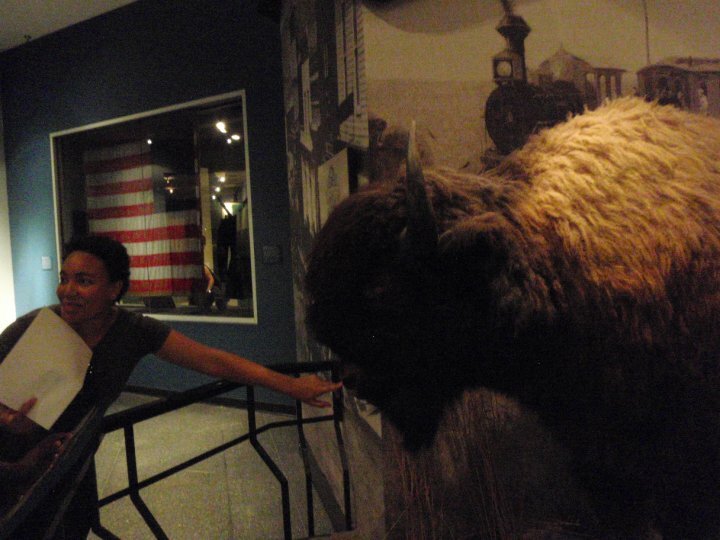 Mark and I were here, because it was what we thought we should do when in Memphis. My mom came because Mark and I dragged her along. 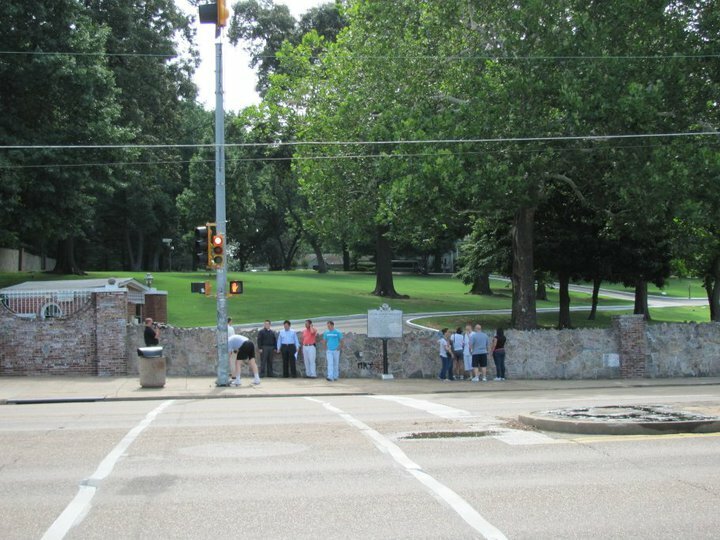 I remembered my brother telling me that Graceland was quite disappointing. So, we didn’t go in. We just walked outside the gates of Graceland and took a few photos. We went to a gift shop and to the Heart Break Hotel next door. The King was just not worth it to me. When I looked at our map, the one in our KOA campsite book, I saw that Little Rock, Arkansas, pronounced “R-can-saw”, was only a few hours away from Memphis. Why not go? Our first stop in Little Rock was to the Clinton Library. It was like walking through my childhood. 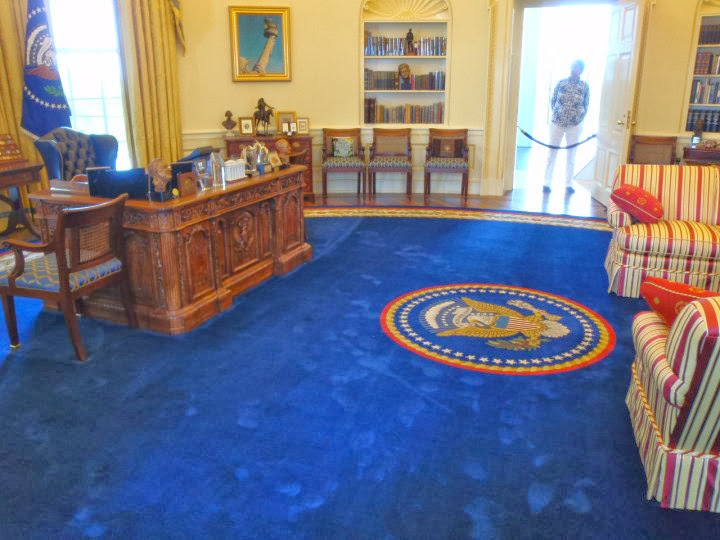 Even though Carter was president when I was born and there had since been Reagan and Bush, I don’t remember much of them. The first presidential election I remember was the ’92 election. That’s when I first heard of Fleetwood Mac by way of the Clinton-Gore campaign song Don’t Stop. 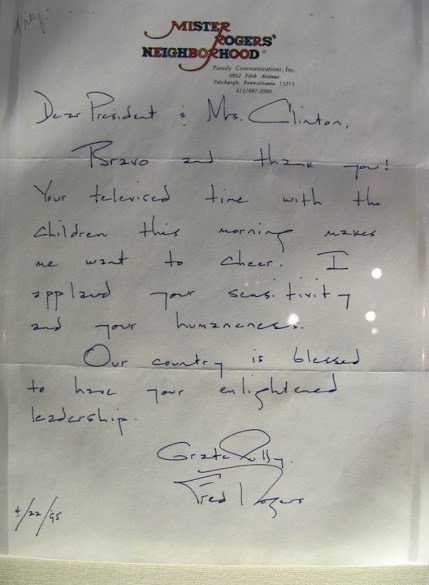 1992 was the year I first asked, “What’s the difference between the candidates?” Let’s see, if I can remember… Clinton was the candidate that was more in-tune with the younger voters. He went on MTV and told the nation that he was a boxers man. George H. W. Bush was the candidate not unlike your grandfather. He was the incumbent, but I got the feeling that he didn’t deliver on his promises. Plus, his vomiting on the prime minister of Japan didn’t help. Third guy, Ross Perot, was the crazy uncle. His full crazy potential wasn’t realized until the ’96 election, but the buds of craziness had already began to bloom in 1992. 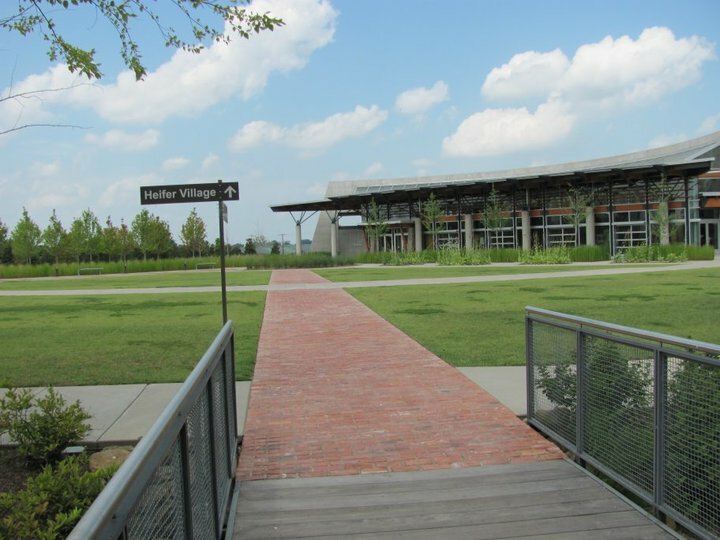 Right around the corner from the Clinton Library is Heifer Village. Heifer International is the charity that I give money to each month. I try to give at least 50USD a month. It doesn’t change my life at all by decreasing my income by 50 bucks, but it could change the life of someone out there. When going to the Heifer International website each month I buy a family somewhere an animal or insects, either entirely or partially. This animal is then used by the family to generate income. The family sells the wool from sheep, the milk from goats, the honey from bees, etc. At Heifer Village you can read literature on the many programs they have set up to help people around the world. 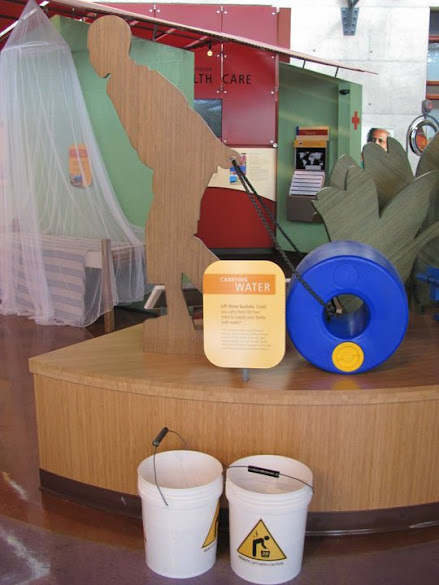 They also have exhibits on tools and equipment, like the rolling bucket, that people in poorer countries can use to make their lives easier. They also have lots of information booths about, on the economics of the things we buy. If you are looking for a charity where most of your money goes to actually helping people, then Heifer International is a good option. Look through their catalogue and give what you feel you can. A shared contribution can be low as $10. That’s where you put $10 towards a gift and they add that to the $10 donations of other people until they have enough to buy the entire animal for the family. If you want to buy an entire animal yourself, the lowest priced ones are the flock of ducks, chicken, or geese. 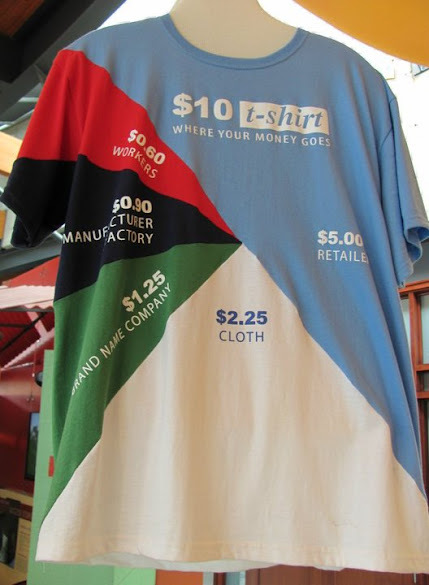 Each costs $20. You can get a 10% discount if you show your AAA card or if you are a senior citizen, student, solider, cop, or firefighter. It’s just around the block from the Clinton Library. It’s a 10 minute walk.